I really need to read the Nightsade series. I loved the cover on this one and I definitely will check this out after I read Nightshade. Thanks for sharing. I'm really excited about this one too! 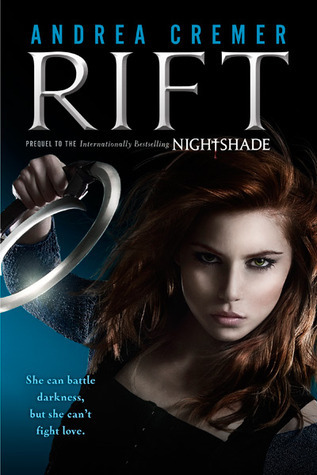 I loved the Nightshade series so I'm excited to see what happened before. Also really loved Andrea Cremer's writing so I think I will enjoy this series as well. I'm also excited for this one! I love the fierce lady in the cover! Every time I see this cover, I think of Xena. Which makes me want to immediately pick up this book! I LOVE – “She can battle darkness, but she can't fight love” that's a great tagline!